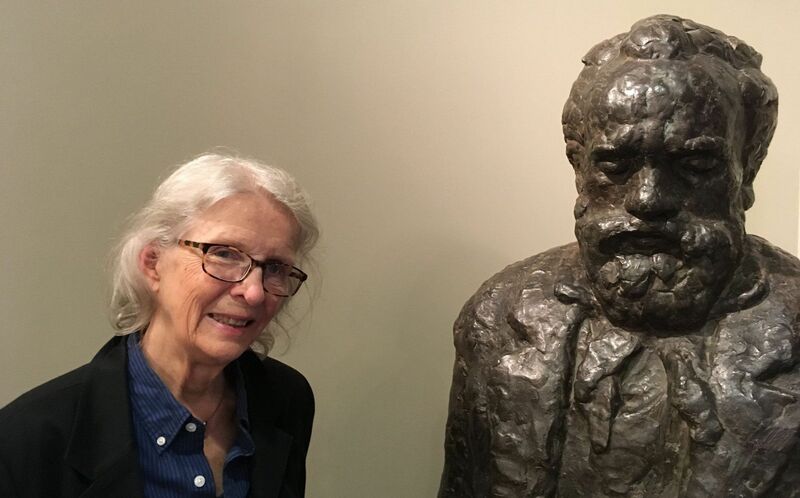 Majda Kallab Whitaker and the Dvořák American Heritage Association's statue of the composer, photo: Ian Willoughby I was shown around the room by Majda Kallab Whitaker, a member of the board of the Dvořák American Heritage Association. But our conversation first took in the story of how Kallab Whitaker’s own family arrived in the US, when she was a small child. “My father was a foreign trade expert, very involved in the interwar years. “He was born in 1904, so he really came of age in the 1920s and 1930s. 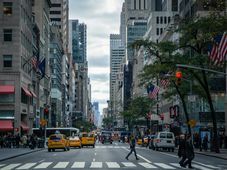 “He was trained in foreign trade at a commercial school in Brno and then was very interested in Latin America, so he travelled to Latin America, but through New York. Was it the case that he was here in New York when you were born? “Technically, yes [laughs]. He was here on a long-term business assignment right after the war. “He was head of a group of companies that were trying to re-establish trade ties. “He came over here almost immediately after the war, representing Zbrojovka, the Brno small arms company, in peacetime trade, and also a more consumer goods oriented consortium. “So he was here and then travelling back for instructions. “My mother and the three daughters in the family at the point were together, in Prague. “She naturally wanted to come to the United States and see if this was going to be our family life, with our father being a foreign trade representative, or what it would be. “On very short notice she got papers. “She always recounted that when they were stamped for the departure, which was in November of 1947, the responsible people said, We’re not giving more visas – you’re lucky you got this one. “So that’s how we came. “And then of course February 1948, the coup d’état, happened. The mantelpiece from Dvořák's New York apartment, photo: Ian Willoughby At home did you speak Czech? “Czech was spoken to me. I am the youngest one – I was one year old. “I do have an older sister who’s actually living in the Czech Republic now. “But I’m sorry to say [laughs] the language is not fluent with me. “I think one way that I have chosen to deal with the language is through my historical research projects. “That opened up a way certainly for me to relate to my heritage. Are Americans always able to pronounce your name, Majda, when they see it written? “No. It involved explanation and I did that deliberately – because I wanted to explain to people. “This is something also that my father had tried to do, because among our friends certainly, earlier, there was the Iron Curtain – what was Czechoslovakia versus any of the other countries? “So it was an opportunity to explain. “In my case, my proper name is Marie Jana. But what happened on the first day of school, in kindergarten, was that every name was called and then I was still left there, standing, I didn’t get my seat [laughs]. “So they called the name again, Marie [pronounced in the usual English way], and I had never heard that. But they weren’t going to say Marie Jana. “I did go through grade school being called Marie, but I always had my best friends call me Majda. You’re on the board of the Dvořák American Heritage Association is. What is the main mission of the association? “We’re here to try to increase awareness of and understanding of Dvořák’s years in America. “He was kind of a pioneer, if you will, in cultural tourism almost [laughs]. “His decision to come to America in the 1890s has always fascinated me. 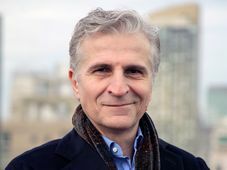 “And when I heard about the Dvořák American Heritage Association I knew that the association would be something I’d want to get involved with. 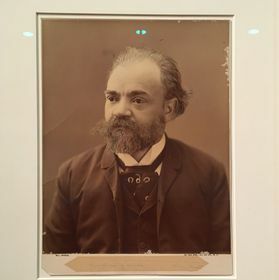 “The organisation was actually formed in the early 1990s, in 1990, 1991, in an effort to save the house in which Dvořák lived, which was on East 17th Street, for the three years of his residency, from 1892 to 1895. But that campaign failed, right? “That failed. 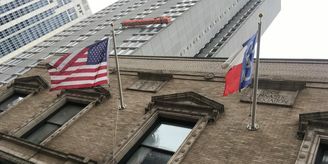 But it was a very important preservation battle in Manhattan. “And after the loss those energies were directly put into trying to save the Bohemian National Hall. “In between there was a project of establishing a statue of Dvořák in Stuyvesant Square, near where the house had stood. “I wasn’t necessarily involved that early. “I was a mature student in graduate school here in New York, at Bard Graduate Center. 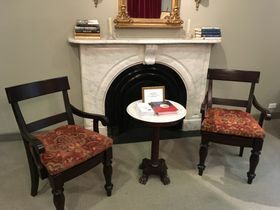 “So I was gaining skills that allowed me to come up with a furnishing plan for the Dvořák Room, within the Bohemian National Hall, when it was determined by preservation architect Jan Hird Pokorny that there should be a Dvořák Room there. “So from those beginning days I was involved. “Then of course we have concerts and programmes, all of this to increase awareness of Dvořák’s contribution. I guess he was a kind of an outlier in that way – he was a pioneer in highlighting the influence of African-American music? “Yes, very much so. It was very controversial. 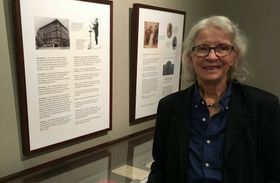 “The person who I personally have got very involved in researching and recently published an article on is the lady who was his American patroness, the founder of this National Conservatory. “It was the mission of her school to be diverse. Dvořák was here for three years. But do Americans in any sense “claim” him, given that the work that he did here and the impact that he had? “It’s been an uphill battle to get the story across. “More and more we are hearing about Dvořák’s contributions in this area. “But, and I have firsthand opportunity to witness this when we have large audiences (I give tours of the Dvořák Room), I am always amazed by how many people for whom the story is new. “They’re amazed and they’re encouraged. 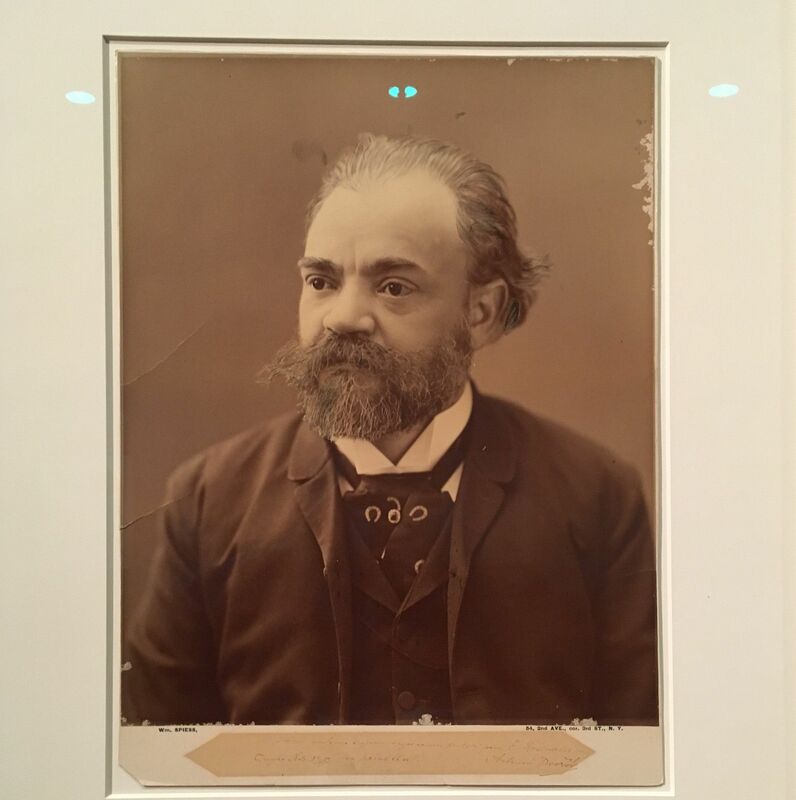 Tell us about some of the items that are here in the Dvořák Room at the Bohemian National Hall. “First of all in the room as the centrepiece we have the mantelpiece that was salvaged from Dvořák’s apartment on East 17th Street. “We’re very happy that Jan Hird Pokorny managed to save that, because certainly when you’re trying to portray a parlour room from the 1890s that would be an essential piece. “And having it come from Dvořák’s apartment itself gave us the architectural background that we needed in order to convey the feeling of late 19th century. 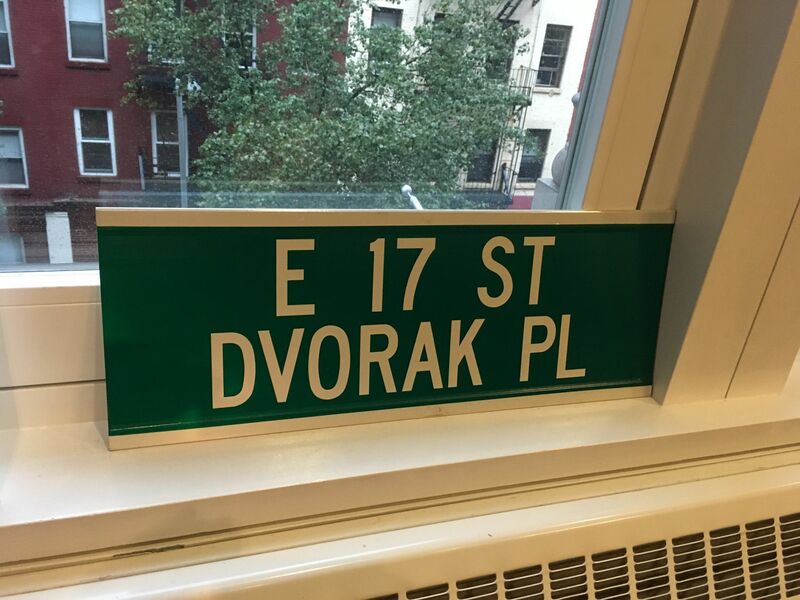 Street sign, photo: Ian Willoughby “We have here also a wonderful photograph of Dvořák. “This one we were actually able to obtain at auction here in New York. 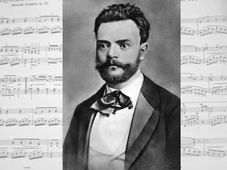 “I’m always amazed at how much material there is that is still visible and palpable of Dvořák being here in America, in New York. “This piece is actually signed by Dvořák personally to the mayor of Omaha, which was one of the cities that he visited in the Midwest. “A very important item that we don’t have in the room here – we keep it on deposit with the New York Philharmonic and show it on special occasions – is the actual contract that brought Dvořák to America. “It was quite a sensation when we were able to obtain that through a descendant of Jeannette Thurber, who was the founder of the National Conservatory and the lady, as I mentioned, who invited Dvořák to America. 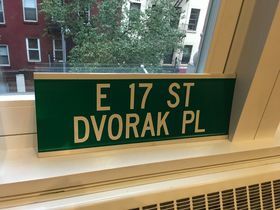 You also have a copy of a street sign from East 17th Street, where I believe, even though the building was knocked down, you managed to have the place named after Dvořák? “That’s correct. I believe that was the first step after the house was demolished, to name the street. “That’s one thing we have here, on the window sill. “But right next to it is a statue of Dvořák and this has a story behind it, as all the pieces do. “This is actually the plaster model from which the bronze statue was cast that now stands in Stuyvesant Square. “But this one was actually found in the basement of the Manhattan School of Music. “I had heard rumours that there was another statute of Dvořák and eventually got around to asking more questions. “Then when I got to the Manhattan School of Music it turned out that it wasn’t on view. 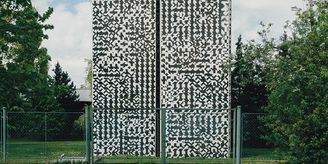 “The reason was that they had had it on view in front of their auditorium but so many people had bumped into that the plaster had disintegrated and it was rather unsightly. “But they said that we could have it. They didn’t know how to go about restoring it, so we were glad to have this as another centrepiece. “In fact it’s turned out to be a big hit in our room for photos ops, standing next to the statue. “It’s close to human size, so it gives you a physical sense of Dvořák. “By the way, it’s the last work of Ivan Mestrovic, who was a Croatian-American sculptor. “He had been brought in in the 1920s to do sculptures of Alice Masaryk and Tomáš Garrigue Masaryk. Majda Kallab Whitaker at the Dvořák Room, photo: Ian Willoughby “But that statue, the bronze one, was originally given the New York Philharmonic and sat on the roof of the building, Philharmonic Hall, as it was called then. “Unfortunately they never fully developed the idea of a roof garden, so it just stood up there without anybody knowing it was there [laughs].